Knit Up & Dye Podcast, Yarn & Knitting Patterns: "We'll just go look...."
Famous last words! 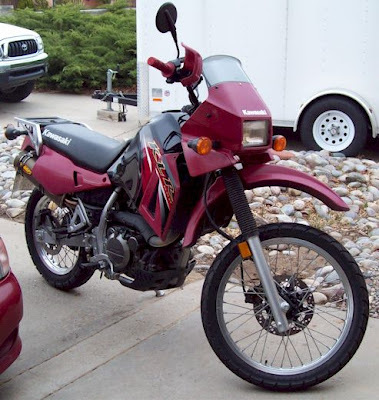 2005 Kawasaki KLR650 - the dream answer to any question. Oh the places I'm gonna go... mainly back and forth to work at 50mpg, saving both the environment and money. This will also be following John in to the southwest wilds, and eventually camping.